I’d like to introduce you to the newest drug on the streets: Sweet and Spicy Nuts. These are one of those snacks that you can nonchalantly set out on the table during a party, turn around, and BAM. They’re gone. Not only will they be gone, but people will be itchin’ for more. They’ll be going through your pantries and stuff. You’ll be known as an official dealer in the sweet/spicy nut department which is a very enviable position. And in just this one instance, it’s okay to get high on your own supply. 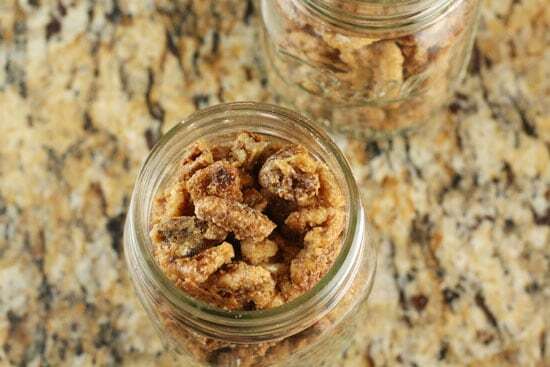 Walnuts and pecans tossed with a sweet and spicy mixture and baked. The results are maybe the most addicting snack ever. 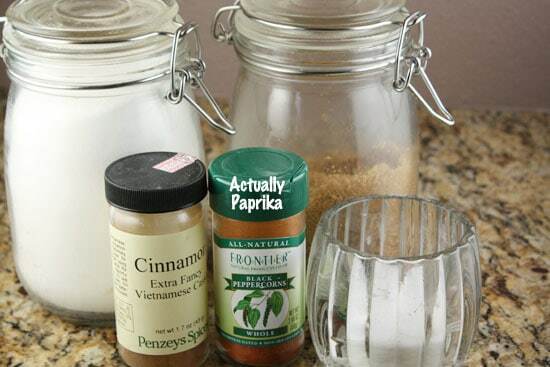 1) Mix together sugars and spices in a large bowl. Whisk really well so the spices are evenly combined. 2) Whisk egg whites with water until frothy, but not stiff. 3) Toss nuts into egg whites and coat well. 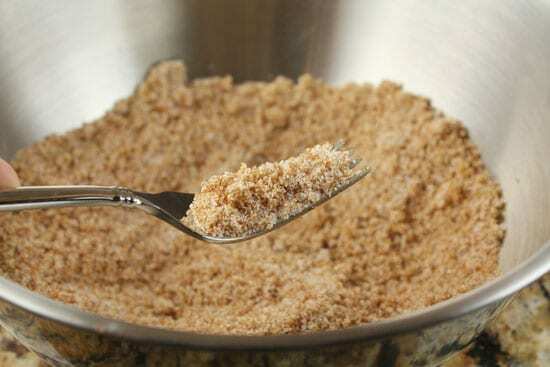 4) Sprinkle in sugar mixture and stir really well to combine. 5) Lay out nuts in an even layer on baking sheets lined with parchment paper. 6) Bake at 300 degrees, stirring every 5 minutes or so. They probably need to cook for 15-20 minutes until they are nicely browned. 7) Remove and let cool. 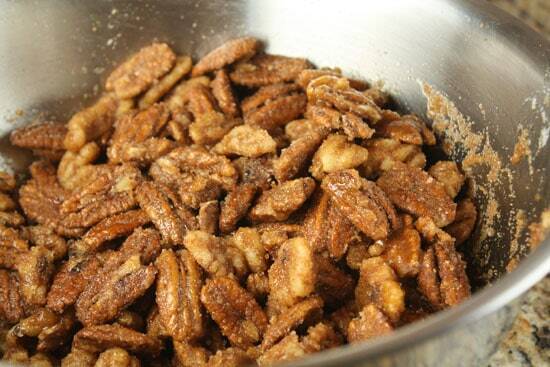 Break up the nuts as they cool. Adapted from a Smitten Kitchen recipe. These are pretty simple to make. You probably even have most of the stuff laying around your kitchen, except maybe the nuts. Speaking of which, nuts can be pretty expensive. If you keep your eyes peeled though you can sometimes find them pretty cheaply for a few bucks a pound. Definitely check wholesale stores as well. Take all your dry ingredients and just mix them up in a bowl. Make sure the spices are mixed in well so they evenly coat all the nuts. If you want to give these guys an extra kick, add in some cayenne to the party. I left it out though and they were still spicy enough. Sweet and spicy were made for each other. I’ve seen some recipes for nuts like this that use melted butter to get the sugar and spices to stick. That seemed a bit intense for me and I liked the idea of egg whites as a binder. Just whisk up the egg whites with a tiny bit of water until it’s frothy, but not stiff at all. 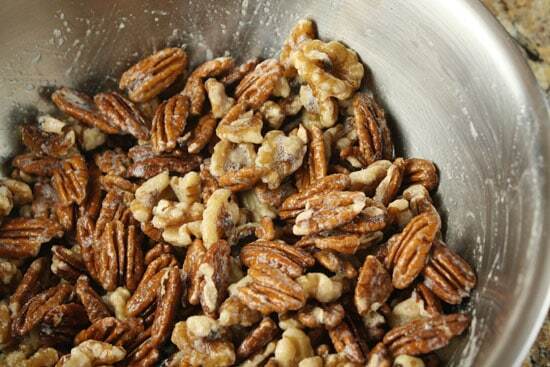 Then toss in your walnuts/pecans and stir really well so the nuts are very evenly coated. Then toss in your sugar/spice mixture and stir until the nuts are very evenly coated. Lay these out on a few baking sheets (you’ll need two). Make sure to line them with parchment paper. 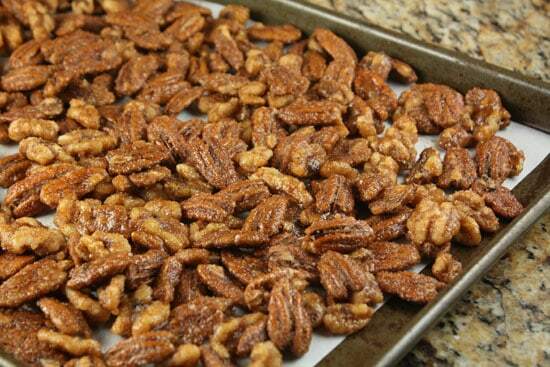 The nuts will possibly burn if they are directly on the baking sheets because of all the sugar. Bake these guys at 300 degrees for maybe 15-20 minutes. Give them a stir every five minutes or so and keep a close eye on them. I burned a few of mine because I thought they’d be okay for 10 minutes or so. Keep an eye on them and stir them every once in a while and you should be okay though. Remove them after 15-20 minutes and let them cool. Break them up as they cool and then store them far away from people until you need them! Give them away if you can part with them. These are pretty dangerous to just leave around as a snack. Because you’ll eat them all. I like to give them away as gifts though or they’d be great for say… A SUPERBOWL PARTY. For as quick as these are to make, it’s almost silly not to try them out! I'm going to try to be careful in choosing my words here… but nuts are great, and can indeed be addictive. The use of egg white in this recipe is a smart alternative too. 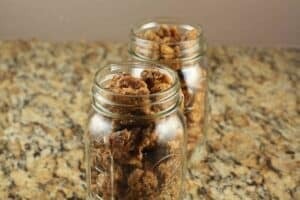 Definitely a great way to add some kick to ordinary nuts. I also like that you use "extra fancy" cinnamon. They are wonderful sprinkled on salad. I plan on giving these Addictive Things for Christmas gifts at the office. How long will they stay fresh? Do they need to be refrigerated? Oh… and make sure you cool them completely before storing them so condensation doesn’t build up.